At Business Insider, we believe capitalism can and should be a force for good. And with the inaugural edition of Business Insider 100: The Creators, we are celebrating leaders who embody this spirit. Check out the whole Creators series here. Later today, we launch another series in partnership with public radio’s Marketplace. We’ll be exploring everything from the history of shareholder value to Wall Street’s impact on companies like Sears and IBM, so stay tuned online and on air for more stories on the topic. Microsoft is buying LinkedIn for $26.2 billion. Microsoft chief Satya Nadella and LinkedIn CEO Jeff Weiner talked to Business Insider about the deal — here’s what they said. Here’s what Nadella told Microsoft employees about the deal. Here’s what Wall Street thinks about the deal. 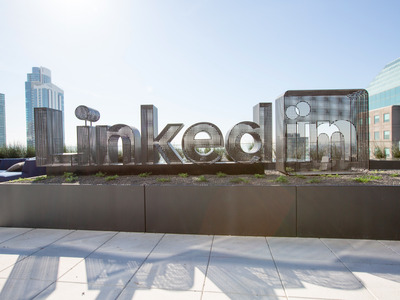 Allen & Co., one of Wall Street’s most secretive firms, advised LinkedIn on the deal. Three banks could reap as much as $65 million in fees from the deal. Twitter shares spiked after the Microsoft-LinkedIn deal was announced. Microsoft buying LinkedIn is good for Pandora. Symantec is buying Blue Coat Systems for about $4.65 billion. Here are the tech companies most likely to be acquired next. Short seller Andrew Left is going after Facebook. In other news, Theranos got ditched by its biggest partner — here’s what it has left. The company that sells wedding rings to much of America is in big trouble. Chipotle still hasn’t answered one question about the business — and it could mean doom for the company. And an upstart trading venue is trying to eat everyone else’s lunch. Gun stocks are surging — Shares of major gunmakers rallied in trading on Monday, one day after the deadliest mass shootingin US history. This is the biggest risk facing the planet — A Bank of America Merrill Lynch team led by Beijia Ma said in a report to clients that water is the number one pressing issue for the world as whole. We’re witnessing ‘the death of investment’ — Generally, the best method of saving for retirement is thought to be a diversified portfolio consisting of both stocks and bonds held for a long period of time. This decreases risk while allowing for a long-term accumulation of wealth. The investment world has a new ‘haute couture’ — “The ‘House of Quant’ has firmly established itself as the hedge fund industry’s most fashionable strategy due to its high quality product,” Credit Suisse said in a recent note to investor clients. The housing market is trapped — Long-term and short-term trends have converged, and while it hasn’t caused disaster for American homeowners yet, it certainly has made movement a lot harder. MORGAN STANLEY: Pretty soon there’s going to be too much oil again — It’s been quite a year for oil. ‘Hopefully we won’t be Banky McBankface’: Startup bank Mondo is letting customers change its name — Hot startup bank Mondo is having to change its name following a trademark dispute and is letting its customers chose what it should now be called.